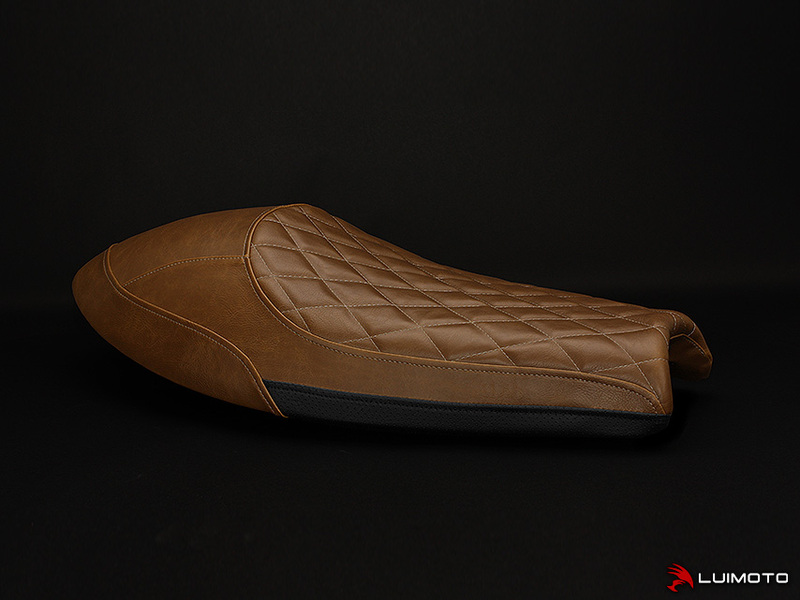 Introducing the 2016 Thruxton Vintage Diamond seat cover. It is made with a vintage style fabric available in brown, dark brown, and black. This leather look material features signs of distress, and is stitched with a diamond pattern. All of these elements come together to complete the cafe racer look. Stand out with the finishing touch of Luimoto!